The main duties of this role are defined around first level IT client service within the country office and follow task norms associate with ITIL standards for helpdesk service. Additional tasks include IT training for clients, asset management, and hardware repairs This role requires frequent interaction with clients, desk-side IT coaching, and has a limited network administrator role. This is a entry level, IT support role where candidates are expected to have a minimum of 1-3 years of experience. Recent university graduates who have attained a bachelor's degree in areas of IT or related disciplines, are encouraged to submit CVs for consideration. • Provides standard support for mobile devices including smart phones, tablets and laptops computers. • Installs, configures, and supports Bank-standard hardware and software. • Provides technical support to office staff and visiting missions. 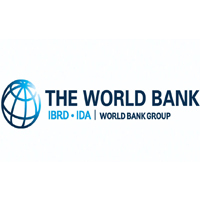 • Ensures that World Bank information and IT systems are protected in a manner consistent with information security policy procedures and standards. • Provides direction, support and training to clients. Helps clients solve IT problems. • Facilitates preparation for video conferences and other collaborative activities, such as Webex sessions. • Manages all local IT assets and assists clients to manage data. • Information Technology diploma or university degree, preferably in Computer Science or related area, plus a minimum of 1-experience providing IT support or facilitating IT training in an end-user environment. • Expresses thoughts and ideas effectively in oral and written communications in English. • Works with technical material and translates material into layperson's terms. • Ability to analyze information and draw accurate conclusions. • Ability to apply problem solving strategies to evaluate and solve problems effectively. • Copes effectively and is productive under work stress. • Shows an understanding of other people's concerns, motives, feelings, strengths, and limitations. • Ability to work cooperatively and collaboratively in a virtual team environment. • Proficient knowledge and understanding of effective practices for dealing with clients in a variety of situations. • Ability to provide basic assistance and training to other staff members. • Basic ability to ensure the efficient operation of network components. To apply, qualified candidates are requested to send their CV and letter of interest to recruitafit@worldbank.org. CVs and letter should be submitted in English. In the subject line please indicate Tanzania position. The deadline for applications is March 14, 2018. Applicants should include their primary email address, mobile phone number, and an explanation of how their university studies and previous work experience has prepared them for this position. Only selected candidates will be contacted.